4 A/C units (Q,2D; all no-smoking), 4-pc bath, SaTV, fridge, microwave, free Wi-Fi, electric fireplace. 22-m/yd deck with harbour view; outdoor smoking area. 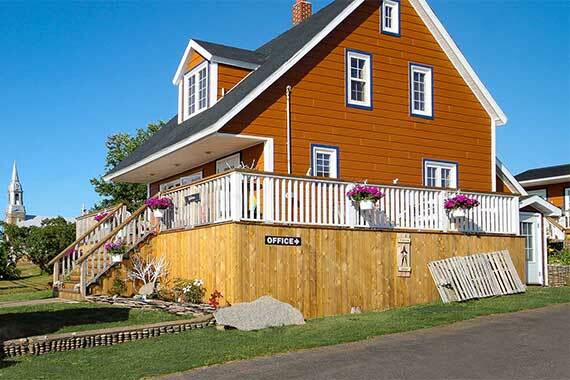 Walking distance to restaurants, banks & whale cruises. Service bilingue.